Can you BREAKOUT or will you be #TRAPPEDFOREVER? WIN A P500 DISCOUNT FOR OUR LIVING LEGENDS EDITION GAME... IF YOU CAN SOLVE ANY EDITION! GET A CHANCE TO WIN TEN FREE ESCAPE ROOM GAMES! One of your dearest friends has been missing for two weeks. All of a sudden, you find a note from him inviting you to meet in a diner as he “needs your help.” He asks you to not tell his family his whereabouts first, he says he needs to discuss something important and that you are the only one who can help and understand. Arriving at the diner, the place was full with people but you couldn’t spot him. You approach the counter and the server said that your friend was already there and that he would be back soon. He also gives a dish and says, “Your friend ordered the house special for you while you wait.” You find a table and take your first bite. It is very good! You keep eating and right before your last bite, you feel nauseous. It gets worse and worse and then you are knocked unconscious. When you wake up, the diner is now completely empty. Where did everyone go? Where is your friend? You see a note on the table that thanks you for your sacrifice and that everyone will be ready for you soon. You have 45 minutes before they return and all hope of survival is lost. Can you Breakout? You and your friends check in at an old motel after experiencing car troubles in the middle of nowhere and cannot call for help. But this place is giving you the creeps. Something doesn't feel right. Your group tries to leave the room but the door knob falls off-- and for some reason, you feel like it wasn't an accident. You try to force your way out but to no luck. You are trapped inside. "There's nothing like these retro games" you said to yourself as you plugged in a foreign gaming console you found in a pile of antique items. The screen lit up and displayed "Press Play", and so you did. You have no idea what the game has in store for you. You're being taken into a whole new 8-BIT dimension... Literally. The only way to escape the game is to beat it. You have 45 minutes to finish Press Play, or be part of it… Forever. You are an undercover agent inside a bar secretly operating as a drug syndicate’s base of operations. You are there to uncover who is running the whole operation. While investigating inside the VIP room, there was an anonymous tip that identified you as part of the police force. You get roughed up and locked in the backroom. Security empties the bar. The Boss is coming. It's not looking good. You have 45 minutes to escape before the drug syndicate's Boss arrives. You don't know what exactly he will do to you but you definitely don't want to stay to find out. Can you Breakout and uncover the truth behind the syndicate's blood money before time expires? You open your eyes and find yourself in a cage. Everything is hazy. You can't remember a thing-- What were you doing before? How did you get here? Why are you trapped in a cage? One thing is for sure, though, you know you shouldn't be there. You've been abducted. You have 45 minutes to put the pieces together and set yourself free. Can you breakout before time expires? You are a famous celebrity. Your life is an open book. Everybody knows your every move. You have thousands of people claiming that they're your number 1 fan. Fame has a price. Overloaded with countless letters and gifts from your admirers, you tend to overlook some. You start getting hate mail. Out of all the negative mail, there was one that was very alarming. It's from a lunatic fan who, despite claiming to be your number 1 fan, made very detailed and violating threats on your life. As you sift through more mail, you notice that more than half of the hate mail has come from that one lunatic fan. Your heart sinks. As you try to go outside your dressing room to get some fresh air, the lights suddenly turn off and you find yourself locked in. You find a note from the same so-called numer 1 fan. He locked you in and is now challenging you to identify him by name. He also threatens to kill you if you fail to do so. Do you have what it takes to pay attention to the details and figure out who your number 1 fan is before time expires? You are paranormal investigators, hired to investigate rumors of a haunting in one of the houses in the neighborhood. The previous owners were a family of four, but the parents died from peculiar incidents inside their own house. Meanwhile, the young kids were brought to an orphanage where they do not interact with anyone and seem to be in a traumatized state. What happened to this once-peaceful home? You and your friends are survivors wandering through the woods trying to find safe refuge when you get ambushed by another survivor with a rifle. As she demands for everything in your bags, a zombie attacks her from behind. You help kill the zombie but find that you were a little too late as she got bitten and is slowly dying. She makes a deal with you; she reveals that she has a cabin up ahead which you can use for refuge. In exchange, she makes you promise to take care of her special someone that's waiting for her to come back. You agree and run for your life as you see more zombies coming your way. You find the cabin and barricade the doors from the zombies that followed you and think you are finally safe. But then you start hearing more zombie sounds and it seems to be coming from inside the cabin. Is that the special someone? Maybe there's more to the deal than you thought. You have 45 minutes. Can you survive and find a way out? The world has been plagued with a deadly airborn virus that has led to people staying in quarantine shelters while a vaccine is being developed. All was well until a strong earthquake hit and caused a breach in the containment. The outbreak is rapidly spreading throughout the whole containment area and the system has shut down all oxygen to limit the spread of the infection. You have 45 minutes of air left. Can you finish the vaccine and restore the oxygen in the containment in time? Can you breakout alive and healthy? 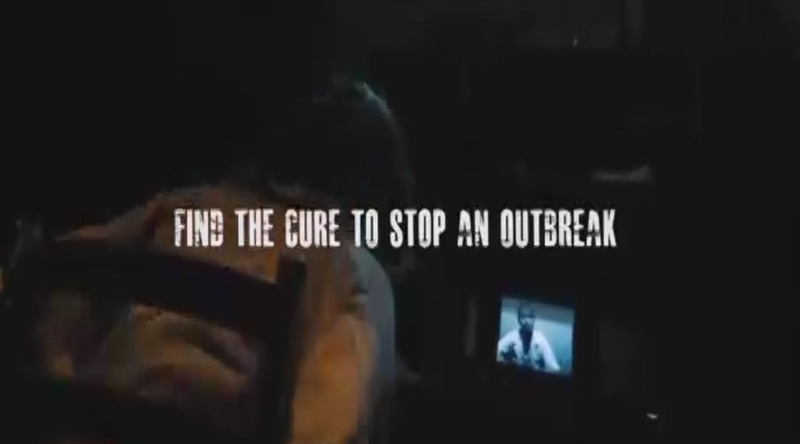 Or will you be another victim of the deadly virus? An asylum was shut down after patients had a series of inexplicable deaths. Refusing to believe that the deaths were caused by paranormal forces, you and your team of journalists investigate its hallowed halls in hopes to find a more logical reason to the deaths. Your investigation takes you into a certain ward, which suddenly slams shut and locks itself. Everybody stood still. Nobody was talking; and yet, voices were heard. You look at each other in fear. Perhaps the rumors are true… Or are you now sucked in a state of paranoia? This is not about research anymore, it's about survival. Can you and your team Breakout? You had a sleepover with your brother and cousins and played Truth or Dare. After intense rounds of Dares, your brother opted to be different and tried Truth. After much prodding, he ended up sharing “confidential information” that he was actually a spy for a secret organization. Of course this was a wild claim and nobody believed him… until the next day. You wake up and notice that your brother is missing. More than that, the room is bolted from outside and you can’t get out. You find a note by the printer, it seems to be a list of to do's. What's going on? You have 45 minutes. Can you complete the list and breakout? Or will you be trapped forever? In your neighborhood, there was a popular dress shop owned by a newlywed couple. They ran their business with passion and their love for each other reflected on each and every dress they created. However, not even a year into their wedding, the wife got extremely ill and died. Her husband, wilting in his grief, became so uninspired with his craft that the once bright and welcoming shop soon turned gloomy and desolate. Because of this, people eventually stopped visiting the shop and he lost his business. The once loyal patrons started wondering though, why was there no funeral for the wife? What if she is still alive? Where was the husband now? One night, as you and your friends were passing by the old abandoned shop, you notice that the light was turned on. Upon closer inspection, you see that there is a new mannequin displayed by the shop window. It looks eerily familiar. Almost life-like. You and your friends feel almost compelled by this new shop addition so you enter the store and call out for the owner. Nobody answers. A chill runs up your spine so you and your friends decide to leave. As you go back to the front door, you discover that you are locked from the outside. Will your curiosity bring you in trouble or will it shed light to the town's unanswered questions? You have 45 minutes to unveil the secrets behind this shop and its mannequin and Breakout. Thousands of feet above the pure blue ocean, you relax and settle in comfortably on your plane seat. You and your friends are on your way to your long-awaited and well-deserved vacation. Minutes away from paradise, everyone gets handed complimentary drinks. You consume it and ask for more when when suddenly, the plane shakes. Black. You wake up, the sun meets your eyes sharply, you feel sand. You stand up to check your surroundings. You look around, you see that you are on an island, standing beside the pure blue ocean, stretching for miles and miles. You see your friends, you see the plane wreckage and you realize that you crashed. However, there does not seem to be any other people with you on the beach. You and your friends seem to be the only survivors. What happened? Where are the other passengers? Where are the pilots or the cabin crew? Will you be rescued? Where are you? You have 45 minutes. Will you survive or will you be trapped on the island forever? There have been rumors that a particular room has had some paranormal activities. Being a skeptic of such, you and your friends decide to rent it out and put all those rumors to test. But once you get inside, the door locks shut. And you slowly discover the rumors are not rumors. Something is there... Waiting... Hiding. Breakout Philippines presents: HIDE AND SEEK. A Horror Escape Room Experience. This time, breaking out is no longer enough. You must survive the room. Rumor has it that those who enter this infamous clown house never make it out alive. Being skeptic of urban legends, you and your friends want to prove that the house is just one big joke. A sinister clown approaches you as you enter and show a deck of cards. What seemed like the beginning of a cheap magic trick turned out to be a classic case of misdirection. The clown disappears. You and your friends are now locked inside. Passing through smoke and mirrors, can you Breakout or will you be trapped inside the Clown House forever? DISCLAIMER: MINIMUM AGE REQUIREMENT TO PLAY IS 13 YEARS OLD. FOR 13-15 YEAR OLDS, THEY NEED TO BE ACCOMPANIED BY AN ADULT. AND FOR 16 YEARS OLD AND ABOVE, NO ADULT COMPANION IS NEEDED. MINIMUM OF 2 PLAYERS PER GAME. * ONLY AVAILABLE ON SATURDAY AND SUNDAY. THIS SPECIAL EDITION 60 MINUTE ROOM HAS LIVE ACTORS INSIDE. You and your friends break into the house of a wealthy blind man, thinking you'll get away with the perfect heist. You're wrong. Breakout Philippines proudly presents HUSH: a live action escape room game experience inspired by the suspense thriller "Don't Breathe". You have 60 minutes to find the cash and escape the clutches of the roaming violent blind man. He knows you're there. He's lurking. The motel in the middle of nowhere you ended up staying in turned out to be an elaborate scheme to murder its guests for body parts. You miraculously managed to escape. It took a while but you've finally managed to gather and compose yourself. Even as you play it back in your head, you still can't believe what happened to you. And then you realized something and your heart sank deeper-- Why did the elderly couple call you by your name when you didn't tell them who you were? You try to rush out the door and find the barn doors locked. You're trapped AGAIN! Could it be that the entire town is part of this psychotic organization? And more importantly, can you BREAKOUT yet again? It all happened so fast. From accidentally discovering your older brother was part of a secret organization, to saving your brother from villains and proving to the agency that you too have what it takes, you've found yourself on a whirlwind of training to initiate you to the team. You finally get the mission you've always dreamed about-- To work alongside with your brother. The orders sounded simple: Retrieve the Super Soldier Serum. You sneak in a hidden lab with doors that needed security access. Your brother splits up with you to shut off the alarm system. You finally get your hands on the serum thanks in great part to your brother who's sending you messages and manipulating door access. All of a sudden, the messages stop coming. And even worse, the doors stopped unlocking. Do you have what it takes to Breakout on your own? What used to be a weekly gamenight schedule in your teenage years have slowly turned into a rarity: Weekly games became once a month, then once a year and eventually evolved to a chorus of rescheduling excuses. Real world obligations have taken over. You've even forgotten that such nights existed... Until you got an elaborate invitation from someone who calls himself "The Dungeon Master". You smile sheepishly. You know EXACTLY what this is about. You check in with all your gaming friends and they've all received the same letter which has instructions to gather in an empty house on a specific date and time. All of you go together as a group-- Just like old times. The main door creaks as you enter. A tape recorder rests on the dining table. All the doors suddenly lock simultaneously as you hit the playback button. A stranger's voice begins to talk from the recording. You look around and the excited smiles are turning to awkward ones. What's going on? You realize you have to play the complicated game to find out. Can you Breakout? Your grandmother had the best fairy tales. In between every "Once upon a time" and "She lived happily ever after" lines were stories told in great detail. Her accuracy was amazing as well. She narrated every story the same way as if she was pulling these images from her memory and not just her imagination. You reminisce how magical her stories were as you sort her old belongings in the family cottage. She's passed away for a few days already but it's only now you've mustered up the strength to tidy up the place. You notice alot of items looked oddly familiar despite seeing them for the first time. These are things that your grandmother would describe in her stories. A princess' gown, an old chest and even a seemingly enchanted stick... Could it be a magic wand? And then it hit you. What if your grandmother's fairy tales were actually tales told by a fairy? Could your grandmother be a fairy? Were these her life stories? As more questions come to your head, a light shines from the other room. You try to look through the brightness to no success. One thing is for sure, it's definitely not the room you thought that would be there. It looks like a different dimension. Do you dare enter it? What if it leads to more questions than answers? And most importantly, will you be able to get back out and Breakout? Sometimes, people just hit it off. The moment you met your new neighbor, you knew that you guys would be BFFs. You became inseparable in school and sleepovers on the weekend. You did everything together. One weekend, as she was out of town with her family, you decided to throw her a surprise with a "welcome back" present. You sneak in her house and room to place the box on her bed. You could've left immediately, but ended up realizing that despite spending so much time together, you really didn't know much about her past. You look for memories around her house and there wasn't a single trace of her past. You find a hidden passage going up to an attic you never knew existed. Are you ready to find out who your BFF really is? CAN YOU BREAKOUT OR WILL YOU BE TRAPPED FOREVER? Breakout Philippines is a thrilling activity that lets you live in different scenarios you don’t encounter on a daily basis… We’re pretty sure it’s not every day that you get chased by zombies, hunted down by psychotic serial killers, sucked in a video game world, or get trapped in a catacomb. Immerse yourself in an interactive game filled with unexpected twists and turns brought about by uniquely crafted thematic elements. Get lost in our worlds with elaborate storylines. Look for clues and objects that will help you solve logic puzzles. The goal is to ESCAPE THE ROOM IN 45 MINUTES. Players must PLAN as a team, SOLVE puzzles collaboratively in order to ESCAPE before time expires. You are locked in a room for whatever reason it might be. You need to use your detective's mind and your powers of deduction to study the environment, gather clues, information and tools. Don't panic over the puzzles or riddles. Strategize with your teammates. More heads are definitely better than one. Once you solve a puzzle, it can give you either a combination to a lock or a location to a key. Find the lock that opens from the discovered combination or key. Unlock it and be one step closer to breaking out. Pay a one time fee of P500 for a lifetime membership. This is the quickest and easiest way to guarantee your preferred room, date and timeslot for you and your friends. Simply click the BOOK ONLINE button below the posters and follow the easy instructions. In this method, you may use your credit cards or PayPal account to register and reserve your slots! Still a bit wary of online transactions? That's ok. We can do it the old fashioned bank deposit way. Click the BOOK VIA BANK DEPOSIT button below the posters. You will be asked to indicate HOW MANY you are in the group, and BASIC INFORMATION of the contact person. If you choose to live dangerously, you can opt to simply drop by DURING game days and take your chances for an availability in the rooms. And just so you can't say we didn't warn you, we'd just like to let you know that we do NOT recommend this option. The last thing we'd want to do is to break the hearts of excited walk-ins just because all slots are filled. Yes, you will actually be trapped in a room. We offer a wide selection of masterfully-crafted themed rooms you can choose from. Some of the rooms may have nerve-wracking and scary themes, but take note that no part of this game will endanger your life or compromise your safety. What happens after 45 minutes? If you successfully Breakout in your first attempt of a room, you can play another room with a 10% discount. If you can also Breakout from that room, you get to PLAY IT FOR FREE! 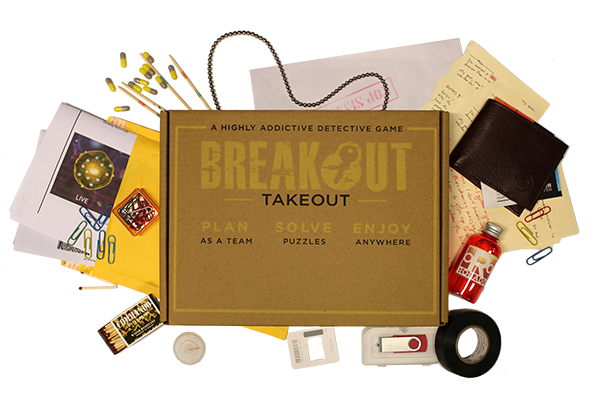 For those who Breakout (regardless if it's your first attempt or not), you will earn a P500 discount for our Breakout Takeout Living Legends Edition. That is a 50+ puzzle game that will win you TEN FREE ESCAPE ROOM GAMES if you can complete all the challenges. We also have a #LivingLegends leaderboard dedicated for those who get to Breakout as one of the Top 10 Fastest Finishers. Make it there and you will be the envy of your friends proving that you are, in fact, McGyver, Sherlock Holmes and Michael Scofield rolled into one (brilliant) person. You will be honored... Your parents will be so proud. If you’re not able to escape, you will be #TrappedForever and we get to keep your stuff. Just kidding. Keeping you in the room against your will is breaking the law. Don’t get too discouraged if you can’t Breakout on your first try, because you can always play again! We offer a membership card that can get you up to 50% off of your second try of the same room! IT’S ALL FUN AND GAMES… BUT OF COURSE THERE ARE RULES. Please arrive at least 15 minutes before the schedule of your game. We start the 45-minute timer on the dot, so make sure to be there before all the action happens. Playing the game with less time to work with doesn’t sound so motivating at all, so try your best not to arrive late. Warning: people who constantly give out spoilers are never fun to be with. We understand that the #feels are real after each game, but let’s not ruin the fun for those who haven’t experienced it yet. We also constantly change the puzzles and combinations of the locks. So avoid looking silly to the person you are trying to impress and keep it to yourself instead. Cellphones, cameras, tablets, recorders, bad vibes, bad memories, writing materials (list is not exhaustive) are not allowed inside the room. It might be really tempting to document the whole experience for your Instagram feed, but then again, we want your Breakout experience to be as immersive as possible. Don’t worry--we have more than enough lockers for all of your stuff! Please be very careful in handling all props and other elements found inside the room. We understand getting stuck with a puzzle can be frustrating, but breaking props and kicking doors open won’t magically give you the answers you need. As with any other establishment, if you break it, you would have to pay the corresponding penalties for it. Anything with the Breakout Off-Limits stickers indicate out-of-bounds areas. These are in no way part of the game so don’t waste any of your time on them! THIS GAME IS FOR EVERYONE. Everyone can be in on the fun! The game requires teamwork, determination, observation, creativity, and communication among team members. But we are not here to give you rocket science type of puzzles to solve. As long as you’re open-minded and observant, you and your team are good to go! Breaking out of the rooms is only twice as fun when you are with family, friends, and even co-workers! This unique experience can also be the perfect opportunity to strengthen camaraderie through team-building activities for larger groups. All the young ones and young once can participate in the game! But children below the age of 13 should be accompanied by an adult. 4-6 persons are allowed inside the room. If your group is less than the maximum number, you can opt to combine with other groups to try and get as much help as you can. 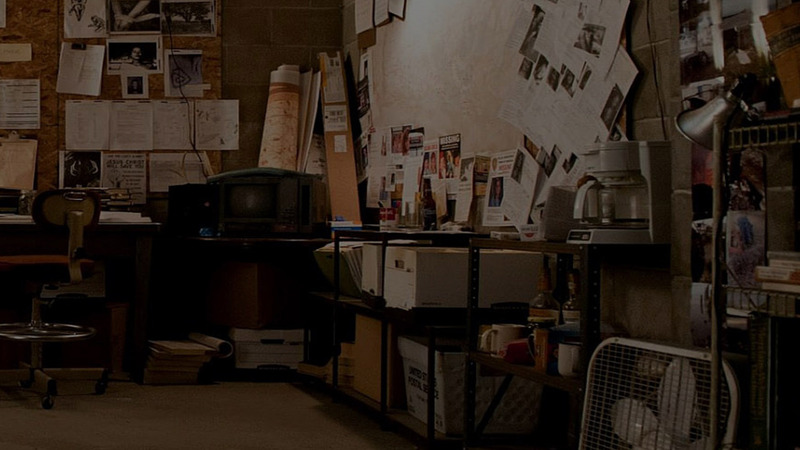 What is a Real Life Escape Room game? Escape Room games is a concept that originated in the 90’s from Japan called “Takagism” and has challenged gamers from all over the world. Most recently, this experience has been taken to the next level by being brought to real life! With your team, you need to observe and use your environment to find hidden objects, decipher clues and solve puzzles to unlock different stages until you finally Breakout from the room. You mean I get to break cabinets and stuff to find clues? We understand getting stuck in a puzzle can be frustrating, but there is no need to result to violence and destroy it. Breaking or damaging an item will make you liable for potential charges. Note that each prop is worth a gajillion billion pesos. So please take care of the props inside the room. But you said use anything in the environment? Yes, but you don’t go around breaking random stuff in your home in hopes of discover something, do you? Chances are, whatever it is you are looking for will be either under or in the vicinity of a particular piece of furniture. To guide you, we will also be marking items with the Breakout logo that will be considered “out of bounds” and do not contain any clues. Do not waste your time on these items. Remember, you only have 45 minutes to escape! Do I have to be smart to join? Let’s get this out of the way, folks. You don’t have to be a brainiac or a puzzle geek to join. We are not here to test your IQ and give you rocket science type of puzzles to solve. Breakout is about giving you a new and fun experience where you just need an open mind and good observational skills. This game is open for those aged 1 to 100 years old! But children below the age of 13 should be accompanied by adults. And those aged 101 and above get to play for free. Why 45 minutes? Isn’t that too long to be stuck in a room? Don’t worry . We can assure you that you will be begging us for time extensions. Can I play in the same room twice? As the famous saying goes, “Failure is just one step closer to Success!” Feel free to try again and get our membership card to enjoy a 50% discount on your second try of the same room. What other perks does a member have and how do I become one? You can also enjoy a 10% discount on your first try of each room and a 10% discount on our merchandise. You can avail of this privilege in our branches. Just please ask our receptionist. Detective style clothes might help to sharpen your mind. Wear comfortable clothes but refrain from wearing heels. What time should I arrive on the day itself? Please arrive at the reception area at least 15 minutes earlier than the time slot you have chosen. We will start the 45-minute timer on the dot so if you arrive late, you can still play the game but will have less time to work with. What happens if our group does not reach the recommended team size? You can opt to combine with other groups to try and get as much help as you can. If you cancel the booking more than 24 hours before, we will give you a 50% refund. If you cancel the booking less than 24 hours before, no refund will be given. For partial cancellation (if some participants cannot make it), the same policies will apply. Can I move my booking to another time or date? If you request for a reschedule more than 24 hours before your game, we can adjust the booking without any charge. If you request for a reschedule less than 24 hours before your game, there is a 50% rescheduling fee (per person). Partial rescheduling is not allowed (eg. If a person booked for a group of 5 and they arrive with only 4 participants, he/she cannot reschedule the 1 person to another date/time). Breakout Philippines provides the perfect venue and service for TEAM BUILDING AND CORPORATE EVENTS. Our themed rooms can help develop people within a team and encourage them to work more effectively together by enhancing their communication skills and simulate workingunder time pressure. We can also bring the activities to the location of your choice! Enjoy birthday parties, welcome/farewell gatherings, and any other special events in a whole new light. BRING THE BREAKOUT EXPERIENCE WITH YOU! 315 Katipunan Avenue, Quezon City, Metro Manila 1105, Philippines. Second Floor of Alabang Town Plaza, Alabang Town Center, Muntinlupa City, Metro Manila 1780, Philippines.